Actor Chuck Low, who portrayed Morrie in Goodfellas has passed away at the age of 89. TMZ reports that the actor died at a nursing home on September 18th in New Jersey. No cause of death has been reported. In addition to his role in Goodfellas, Low also had roles in HBO's The Sopranos, Scent of a Woman, and The Mission. Frank Vincent, who was also in Goodfellas and The Sopranos, passed away the week before Chuck Low due to complications from heart surgery. Charles Low was born to a Russian mother and Austrian-Polish father on July 21st, 1928 and he spent 4 years in active duty as an Army major and spent 30 years in the United States Army Reserve. In addition, Low also served in the National Guard from 1957 to 1961. In the 1960s, the late actor decided to get his brokerage license and began converting industrial buildings in Tribeca into lofts. Chuck Low became friends with Robert De Niro during the 1970s when he began to develop real estate in New York and De Niro was one of his tenants. The friendship led to Low's first big screen appearance as a man in a Chinese restaurant who mocks De Niro in The King of Comedy. Charles Low achieved his biggest success as Morris "Morrie" Kessler in the Martin Scorsese movie Goodfellas alongside his good friend, De Niro. 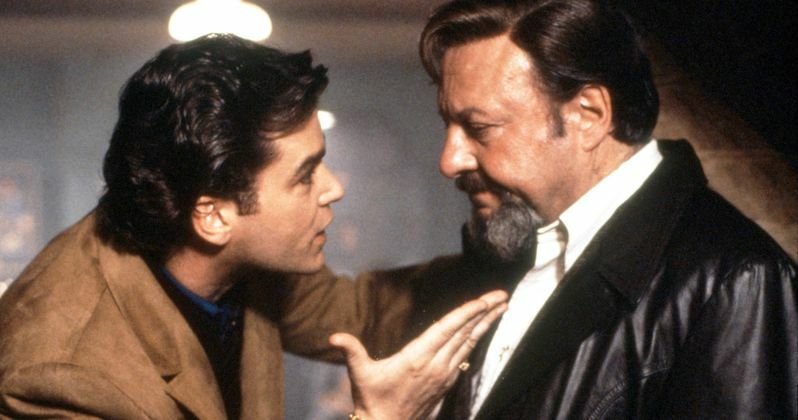 The character of Morrie is famous for his "Morrie's Wig Shop" commercial which is seen as comical, and that coupled with his penchant for pestering De Niro's Jimmy Conway character about money leads. Most of the characters in the movie find Morrie to be annoying and he's later killed by the Joe Pesci character Tommy DeVito character with a screwdriver. Morris Kessler is based off of the real-life Martin Krugman. Chuck Low appeared in the first season of The Sopranos as Shlomo Teittleman, a Hasidic Jew and co-owner of the Flyaway Motel and was fan favorite. In 1999 Teitlemann hired the Soprano crew to settle a dispute with his son-in-law Ariel. His daughter wanted a divorce but Ariel would not leave without a 50% share in the business because he had spent his life working in the family motel. An amicable solution was eventually brokered, the divorce was to go through for a share in the motel to the son-in-law. Teittleman was left with not much of a better deal than before he involved the Mafia, 40% of his business still gone as opposed to the original loss of half, but now he was partnered with the mob. The crew uses the motel for meetings, illegal business, prostitution and to host the executive game. Low received a funeral with full military honors, according to TMZ , which took place on 20 September. A source told the New York Post that Robert De Niro was in attendance for funeral and that he was seen having a lot of laughs with friends and Low's family that he's survived by. You can check out one of Chuck Low's best scenes below as Morrie in Goodfellas.